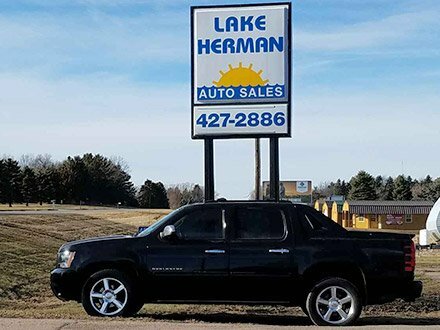 Lake Herman Auto Sales in Madison, South Dakota is very proud to celebrate 40+ years of business. Our road to success is due to YOU the customer and excellent staff! Our standard of business is the same as it was when we were first established in 1978: quality, selection, service, and a desire to not only sell vehicles but to make life-long friendships. This standard of business is what we strive for and a commitment that we will continue to live by for years to come...this is our promise to you! Stop by our dealership and meet our knowledgeable, dedicated and friendly staff - Shelly Johnson (General Manager), Ron Dahl (Sales Consultant) or Dan and Cindy Uthe (Owners). Shop at Lake Herman Auto where our name means a GREAT DEAL!